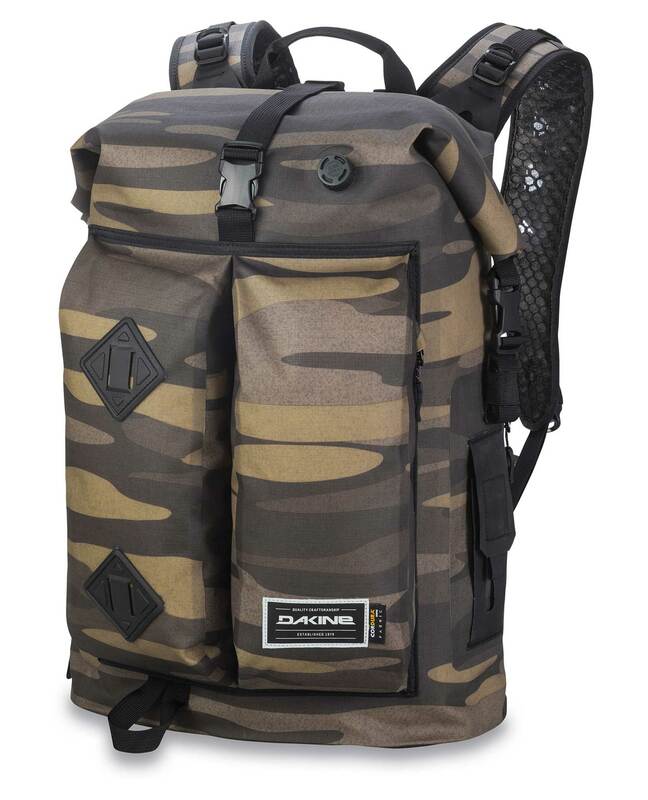 Part of the Cyclone collection, the Dakine Cyclone II has been updated with new 305D Cordura® HP Coated Ripstop material with amazing durability and resistance to abrasions, tears and scuffs. 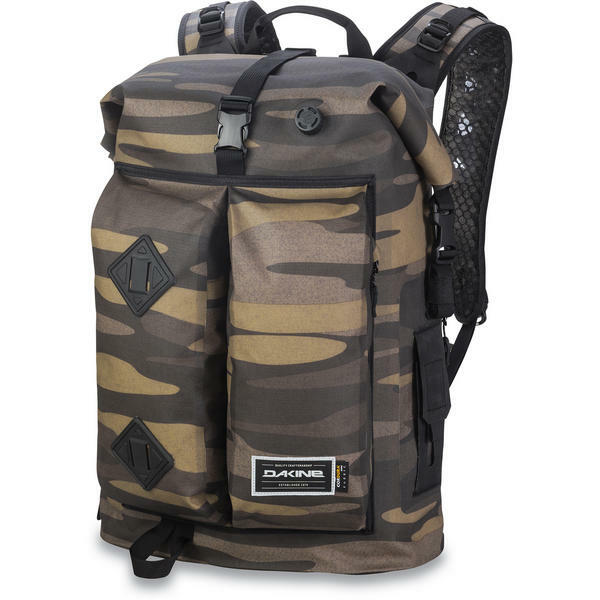 This ultimate surf pack is perfect when you need a fully waterproof pack. The new two-way valve allows you to inflate the bag, so it floats, or alternatively compress it down so it takes up less space. A roll top closure and welded construction make for a total waterproof seal in the big main compartment, while PU coated zippers provide water resistance in the dual outside pockets. The integrated board carry system allows you to connect up your Dakine surf travel bag, making it super easy to carry around. The breathable ergonomic shoulder straps and back panel gives you comfort and support. The adjustable sternum strap holds the back pack nicely in place and laptop sleeve are the finishing touches for easy-style traveling on your next surf trip or whenever you need total waterproof protection.